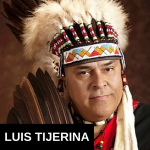 Luis Tijerina is a Comanche chief, a natural healer, and an author. Luis has written several books on the subject of natural healing, which both he and Jason talk about on the show. Luis also talks about why he decided to make a change for the better, natural healing herbs, dream interpretation, and more on this week’s episode. 2:10 – Luis gives a quick overview about his life and why he decided to get into natural healing. 4:20 – Luis believes there’s a herb for every illness, but unfortunately a lot of knowledge about these specific herbs has been lost. 7:30 – Luis talks about the benefits of colloidal silver and what it can do for you. 11:15 – Greasewood is also an amazing herb for curing athlete’s foot. 14:00 – Are pharmaceuticals a scam? 19:00 – What’s the difference between metaphysical and psychosomatic? Luis explains. 22:15 – Luis talks about an important mirror exercise that he recommends everybody to do. 24:45 – It’s important to have a good connection with a higher power or God in your life. 27:10 – Luis recommends a couple of books about dream interpretation. It’s my pleasure to welcome Luis Tijerina to the show. He is a Comanche chief and author of The Healer Within: A Native Perspective on the Metaphysical Self and Native Plants, Roots, Herbs, and Mineral and Healing. We’re gonna just dive into this topic, it’s been a requested topic before, and we’re going compare what is out there naturally versus some of what’s out there pharmaceutically and I think the comparison is going to be a great one. Luis, welcome, how are you today? I’m real good. Thank you very much, I appreciate the opportunity, Jason. Yeah, well, it’s fantastic to have you on the show and just always give our listeners a sense of geography, where are you located? I am in Odessa, Texas. That is about midway point between Dalls and El Paso on interstate 20. Good, good stuff. Tell us a little bit about your work and how you came to do it and lets dive in to some of the benefits. Okay, that sounds good. At the age of 29 or so, I was in a bad way in my life on drugs and alcohol, but my dreams intervened and subconscious mind came forth in my dreams and started giving me some message and trying to get me away from that life that I was living and I didn’t quite understand what it was, so I did start talking with other people and starting to get some dream interpretation and starting to know what that was. I started going back into the lineage of my family and trying to figure out where we came from so that I could know where I was going in life and that’s how I got involved in the native aspect of our heritage and over the years ended up doing what was known as the Sun Dance ceremony and becoming a sub-chief at the Sun Dance in Rose Bud reservation in South Dakota and so over the years doing those ceremonies and getting to know the ways of the Lakota people, I learned a lot about the herbs and roots and the plants and that kind of things that brings us to where I am today as a chief in the Trans-Pecos region and learning about the heritage and culture. So, that’s where we are today. First of all, does every disease have a cure that can be found in nature? You know, I’ve been told by a mentor who was an older Apache lady that took me under her wing long before I started going into the Lakota way of life and that kind of thing that for every illness and disease in this world, there is a natural plant that is a medicine for that disease. So, according to what I have been taught that if we knew what that was, because a lot of it has been lost and forgotten, but many of it has been kept and passed on as such as the ones I talk about in the books that you can find at WwolfEnterprises.com. The native Plants, Herbs, Roots, and Mineral and so if you look at what the United States pharmacopeia is made up, 40% of that is made up of the natural medicines that the American Indians use currently today and we still use as a way of getting rid of all our illnesses and diseases. So, this didn’t all come with an instruction manual. Yeah, we sort of had to figure this out ourselves and like you said we’ve lost, you know, possibly we’ve lost a lot of this knowledge. I guess nature doesn’t do very good marketing campaigns and doesn’t patent things and doesn’t advertise and doesn’t have multi-billion dollar budgets like the pharmaceutical industry. They don’t have lobbyists for nature. At least, natural cures I should say. There are environmental lobbies obviously, but I mean, why is this so suppressed if it really works and it’s not some sort of woo-woo out there kind of a thing. I guess, it’s just because companies can’t make money off of it, right? They can’t patent this stuff. Like, you look at these herbal remedies and the FDA is certainly not going to help you. The pharmaceutical companies basically lobby against this stuff. They want to pass laws to make it harder to talk about the benefits of these things and suppress the knowledge. Yeah, bottom line is the all mighty dollar. You’re right. I’ve seen that time and time again where people have come and asked me about certain illnesses that they have and medicines that they should be taking, but can’t afford to take it. They have to make a decision whether to go and buy food to put on the table or to take medicine, so you know, at that it’s a luxury to some people to be able to take the medicines, the western medicines that is, when you can go to a natural food store or an herbal store and be able to pick up those at minimal costs that would eventually do the same thing that the western medicines did. How do we know this is true, though? Let’s address the skepticism. Maybe, do you want to share an example of a disease or two and the natural remedy? I’ll talk to you about one specifically that maybe others deal with a lot more regularly than normal and if you’re looking at pink eye and it’s cause by a virus that gets into the eye and it causes the eye to turn really red or what we know as pink and we have to, at our disposal, a substance that’s called colloidal silver and colloidal silver is made with two silver rods that have been charged electrically in distilled water and the silver leaches into the water through the electrical impulses and we’re talking about microscopic partials in this distilled water and you can put this distilled or this colloidal silver into the eye and within minutes the pink eye is gone. It’s a natural antibiotic, okay, and it kills a hundreds of different bacterias and viruses that our body comes into contact with and it’s been proven over and over again and that’s just a simple example, but if you look up colloidal silver and the way that it began years and years ago that the surgeons or the doctors back in the olden days used to insert the rods into an open wound per say that one was having a hard time getting to heal and use the body’s fluids along with those electrical impulses to put silver into that wound and actually cause the healing to come about. Now, that’s a drastic measure there for something that was, per say, someone who was a diabetic who had open sores that were very hard to heal and so they would use that in those cases, but it’s a natural antibiotic. It’s been proven time and time again to kill many, many different things that attack our bodies. Here’s the thing though, pink eye isn’t really a big deal in the sense that you can use the pharmaceutical treatment and I don’t know it costs a lot or has any major side effects of any kind. Do you have one that’s something that, you know, is really differentiates the pharmaceutical industry from the natural cure or treatment that was placed here by our creator? Well, there’s a plant here in west Texas that the Indian word for it is called Wah-Me (#9:44?) and in English we’ve come to know it as Greasewood. I don’t know if you’re familiar with that or not, but we in this area have come to know that Greasewood, if you take the leaves and the stems and boil it, it has a very strong astringent properties and you can take it and use it for athlete’s foot and the fungus for athlete’s foot and it’ll never come back. I mean, I had that when I was young and played football and my father went out and got this plant out in desert area here in west Texas and brought it back and boiled it up and put my feet in it and within the three uses that’s recommended, one day to the next three days afterwards my athlete’s foot fungus was gone and it’s one of those things that even with using the regular medications for athlete’s foot fungus, it has a tendency to come back. Well, over the years I had never had athlete’s foot come back, so that’s one of the things that I know and that’s a plant that just grows out here. It’s wild and we see it on the side of the road. We can go pick it. In fact, I keep some in the freezer at the house for someone who comes along that says, hey, I’ve got this problem. I have it ready and can do something with it. Right, right. Anything on more serious diseases? Certainly we’ve heard about alternative cancer treatments, you’re just not going to hear this stuff from the main stream medical establishment though. You know, alternative treatments for many, much more aliments. You know, in talking about the colloidal silver, I have specifically been told by mentors that it is a way of curing the cancer. I have not personally used it for that, but my mentors have. So, it just depends you’re talking to and the extent of their experience with that product, so if you’re talking to my mentors, they’d tell you, yeah, it’s a cure all and one of those that it cures is cancer. So, did you hear about that guy, I think it was colloidal silver he was taking, the guy that turned blue he was taking so much of it? Absolutely and I had seen that picture on the internet and I think that that is the case if you take too much of it. Of course, it’s going to have some effect. I know for a fact it does not accumulate in the body and there may be has something wrong with his physiological makeup that caused him to turn blue, but in many cases it’s the user not using it properly. Yeah, yeah. So, that’s the thing. How do we know what is the proper use? You know, I think that’s one of the big reservations people have about these natural alternatives. They don’t know if it really works. They think it might be woo-woo mystical stuff, you know, they think it might be snake oil, but if they are a believer and they want to try it, they don’t know what the proper dosage and exact treatment is, you know? Right and that’s one of the things that I’ve always told people that come to me is when they come and ask me for a certain plant or root or whatever with their illness, I give them specific instructions and say, this is the way that you’re going to use it and this is the amount that you’re going to use and if they don’t do that and it causes them harm, then they are the ones who are responsible and not myself. I mean, I have always have been one who I’m going to administer it for you, I’m not going to just give it to you and let you go and do it, but I will tell you, this is what it takes, how much it takes, and this is the procedure that you’re going to take it in. You’re going to have to do it this way and if you don’t do it this, then you may cause some harm. Yeah, absolutely. I mean, are the pharmaceutical companies, are they just outright scamming people? Well, there is some good that comes out of it. I can’t say it’s scamming people. I do feel that there are some that are taking advantage of the situation and saying, well, we’re all you got, so you better, you know, cough off the money if you want to get well and those cases the people have no choice but to do so and, like I said, they’re not outright scammers, they’re just taking advantage of the situation and saying, we are what you have and this is what you gotta do. It’s amazing that you just don’t seem to see in the main stream media anybody holding the pharma companies accountable for anything. It’s sort of like this the unspoken truth that, you know, if you get sick you take some drugs and that’s the way you do it, you know? Absolutely and unless you’re one who has gotten out of that main stream medical pharmaceutical area and gone into the natural medicines and have gotten around someone who is a natural medicine provider or one who administers this and works with them constantly and if you’re not one of those, then you’re going to be stuck in that rut with the pharmaceuticals. A lot of the people that I know prefer not to deal with the pharmaceuticals and they come to me or they get into with someone who is a health care provider with the natural medicines. I just wonder if this is ever going to gain any real traction in the main stream, you know, because you have this conflict of interest where the pharmaceutical companies spend so much money advertising. We’ve all seen the multi-page magazine ads and it takes one whole page just to write the disclaimers. You know, this drug may kill you, this drug will upset your stomach, this drug will give you a headache, this drug will make you sleep walk, don’t operate machinery. I mean, God, it’s like are the side effects worse than the cure? Possibly. Absolutely and you know, Jason, one of the things that I try to do a lot with those who do come to me and seek out the healing is that a lot of the problems are metaphysical, okay, there is a cause and there is an effect and the way that I see things the illness sometimes come to take us away from where we are in this life situation and it moves by making us look at ourselves and think about where we are and maybe change the thought pattern and move to the next step in life. Many times you may here that someone who has cancer and has been given 6 weeks to live goes and he makes amends with families or friends and he’s going to church and he’s taking care of business, he’s developing a spiritual life and that kind of thing and the next time he goes to the doctor, the doctor says, oh, you’re in remission. So, we start thinking about this, okay, he’s changed the way he’s living, maybe he’s not eating the same way either and he’s made a lot of different amends with family and turned a new leaf, so to speak, and then some cases you hear where someone who was in remission has said, okay, I’m doing good, and go back to the same way of living and then all of a sudden they go back to the doctor and the doctor says, I’m sorry, but your cancer is back. So, we start to looking at those kinda things and, me specifically, when someone starts telling me that they have a certain illness, I’ll start looking at it in the sense of, okay, where are you in life and what is this trying to tell you? One illness for instance, a lower back pain sciatic area, to me means that someone is having a hard time with fiances and not being supported financially by maybe their mate or someone in the family is not helping them carry the load and so that back pain has come and has gotten to the point where they can’t handle it and when we talk and sit and discuss all these things that are going on in that person’s life, we may be able to hit upon on the fact that maybe they are struggling financially and they are actually needed to get some help with it and the illness may go away, because of that realization. Does that mean, I’m not sure, is metaphysical the right word there or can you help me distinguish metaphysical from psychosomatic, meaning the mind and the body relationship. Well, the metaphysical means cause and effect that we have an illness and it has a root cause. Now, we can go to the pharmaceuticals and get prescription drugs all day long and if we’re not treating the root of the problem, then that is never going to go away no matter what kind of medicine we have. Psychosomatic, you can make yourself sick if you think about it long enough, that’s psychosomatic. I could sit here and start thinking, oh, I’m feeling sick, I’m feeling sick, and eventually I’m going to feel sick, but this is a situational kind of thing of where you are in life that metaphysical is your body and your spiritual and your physiology is making this happen so that you can wake up, so to speak, get a different direction in life and start thinking about things in a different way. Absolutely. Very good, very good distinction there. What else would you like us to know? You know, you talk about mirror exercise, there’s some really interesting stuff here. We’ve talked about the price of the cure and, you know, everything in nature is so inexpensive, yet everything in the pharmaceutical world is so ridiculously overpriced. You know, one comment I want to make on that and I’ve done shows on this before, just to show some of the really, really bad elements of the pharmaceutical industry is look at the prices of these drugs in different countries where they basically haven’t been able to buy off the government like they have in the United States yet. We’ve got the pharmaceutical companies and Wall Street and in the United States of America, unfortunately nowadays these companies own congress, you know? Their lobbyists just, they just run congress. It’s unbelievable the kind of power they have and influence pedaling they do. You know, they haven’t done that in every other country. They haven’t been able to infiltrate seemingly much less advanced countries many times. You know, Egypt is one for example. I was doing a show recently where my guest cited a few examples and one of them was Egypt and just the massive difference in drug prices. Same drug! Absolutely and even you don’t have to go that far. You just go across the border to Mexico. Yeah, it’s that simple. I mean, there are just, they’re not overpowering and those cases what we’re offering as natural medicines they’re pennies on the dollar. I mean, that’s bottom line. You’re talking right right there. They’re owning the people that put these things in law and make the rules, the Food and Drug Administration and those kind of people are the ones who are calling the shots and you know, you made reference to the mirror. I want to go ahead and make a comment about that, because the mirror exercise is one that was very, very enlightening to me and getting me to understand where I was in life. As I mentioned before, I was very heavily into drugs and alcohol and as a result of that was very out of shape. Standing in front of the mirror naked without any clothes, without anything else on, I got to see what I really looked like and it takes away all the man made things that we possess in life. You’re standing there with the only thing that God gave you, which is your skin and using an opportunity, it gave me an opportunity to look beyond that skin and to see what was going on inside of me and give me the opportunity to say, I don’t like what I’m seeing on the outside, because I definitely don’t like what I’m seeing on the inside of me. I was a person who was not walking any spiritual path, who did not recognize that there was a God or a creator or a higher power in life and I did not have a relationship with family members as per say the way family members should. So, all of those things standing in the mirror I was able to see them, because there was nothing in the way to be able to see who I was inside and out and so at this point I got to see myself and make a decision, okay, I’ve got to do something to change it and right around that same time is when the dreams from, I say the dreams from hell started coming, because they were rocking me out of bed at 3:30 in the morning every morning and I would sit up in a cold sweat and I was trying to figure out what was that all about and instantly I started getting a handle on the situation and started getting those dreams interpreted and it moved me into the right direction. Right, yeah, good stuff. Good stuff. Just in wrapping up here, what would you like people to know, you know, just a final thought and please do give out your website actually first. Sure, WEolfEnterprises.com. One thing I always talk to the individuals who come to talk to me about is for sure, let’s talk about what kind of relationship you have with the understanding of higher power in your life. If you choose to call it God, if you choose to call it the creator, whatever you choose as your higher power. Let’s talk about that understanding that you have and now let’s talk a little bit about your dreams. I always want to know what kind of dreams you’re having and sometimes they would tell me, well, I don’t have any dreams. I said, well, I beg to differ with that, because we all dream at night, sometimes we just don’t remember. So, I recommend that they start a process of having a tablet and a pen at the bedside and as soon as they wake up in the morning start writing down the first things that come to mind and eventually you would start getting a clearer picture and sometimes the dreams will start flowing and allows you to start having some kind of a relationship with those dreams to see where they are taking you, what’s going on with that, and also another thing is, let’s get some kind of support group going, because you can’t do this alone. If you try to do it alone sometimes you get in the way and what I mean by that is when you think you’re doing something right, you’re really not and because, I personally had a lot of fight with that that I was trying to justify what I was doing. Yeah, yeah. Good advice. Luis, thank you so much for joining us today and enlightening us about this and I always like to ask my guest besides your own work is there any one else’s work that you would recommend just to get another perspective that you like, you know, maybe another book or anything like that? Absolutely, absolutely. There’s a couple of books that I would recommended for anyone who is contemplating walking down this road and Robert A. Johnson has a book about dream interpretation hat is very helpful and then Carl Gustav Jung is Man and His Symbols and that also about dream interpretation and getting to understand what dreams are talking about. Well, Luis, thanks for joining us today. I appreciate it. I appreciate the opportunity and have a good life!